By now, everyone is familiar with this poor poor woman spending $40,000 per year at Georgetown Law & can’t afford her $1000.00 per year contraception bill. 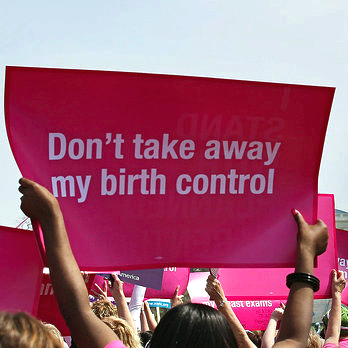 It’s not fair she should have to pay for her own birth control out-of-pocket despite the fact that she knew ahead of time that her health insurance through Georgetown, a Catholic University, would not cover contraception. 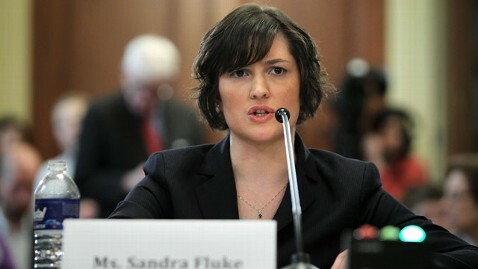 This thing regarding the testimony of the Georgetown law student Sandra Fluke is a dodge. It has been a set up from word go. Don’t get me wrong. I give credit for the redirect to the Obama handlers, the democrats and the zombies in the mainstream media. (I guess that’s a bit redundant. The media are the Obama handlers). It has been established long ago that the media gets their marching orders directly from the White House and it’s surrogates. We should have seen this coming from the time George Snuffleupagus, asked Mitt Romney if States should be able to outlaw contraception. The question came seemingly from out of nowhere. But, of course, it didn’t come from out of nowhere, nor was the question fashioned by the moderator or anyone else in the news (stenography) business. It came directly from someone in the Obama administration, or from one of the many organizations that walk in lock step. Yes, I know. I, like you, am shocked to learn that a respected journalist (you may chuckle if you’d like) such as Stephanopoulos would agree to posit a question merely to advance the administration’s agenda. So, what’s the agenda, the dodge, the redirect? It’s twofold. First is to get the media, the candidates and the public to concentrate on something other than the economy. Second is the female vote. Obama has been losing support of women for quite sometime. The abortion issue is not playing the way it used to. Something had to be done to bring women back to the dems and Obama. Just like magic, a new issue appears. Evidently, they’ve decided that contraception is their battle cry. On behalf of helpless damsels everywhere, they will bring the fight directly to the evil Republicans, those who would deny women the right to contraception. Huh? Well, that’s the way it’s been framed, has it not? Now, anyone who has a thought in their head, would realize, as Mitt Romney stated, no one is going to take away a woman’s contraception, nor is it even a healthcare issue. That matters not to the left. Their only concern is the advancement of the agenda at any cost. I was going to say that the left are masters at forcing an issue to the fore. At redirecting the conversation away from what is truly important in this country today. I stopped myself due to the realization that they don’t have to be masters. They have every major TV (save Fox), print and Internet outlet to do their bidding. I’ll give them kudos for coming up with idea, but advancing it is easy. And, as always happens, we conservative dolts play right along. Let us not discuss domestic energy policy, more bankrupt solar companies, European meltdown or the Middle East blowing up. Surely our heroes getting killed in Afghanistan are not worthy of discussion. I am only writing of this to show how wearily trivial it is and to demonstrate how easy, with a complicit media, a topic can be advanced. Even Rush Limbaugh was sucked into this. For days he belabored the topic of Fluke and her testimony before Pelosi’s committee. What a waste of valuable airtime. It was great for the left. 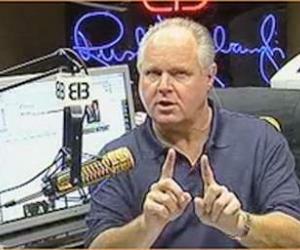 They had every excuse to hammer on the subject, even getting candidates to denounce Limbaugh. Our people naturally oblige them and appear content to play along. If you are a regular reader of mine, you know I’m no fan of Newt Gingrich. However, one of the things I do appreciate about Gingrich is his eagerness to take the fight to the lefties. He will call them out when he sees their attempt at advancing propaganda . Like Newt, we need all conservatives to stand up & say, enough. This topic is a Trojan horse, & we will not discuss it anymore. We know what you’re trying to do and we will no longer play along.